William Ewart, a Liberal MP, suggested that the government should start this scheme to honour significant London residents in 1863. The idea was rejected due to cost, but three years later in 1866 the Society of Arts (later the Royal Society of Arts) took the scheme on. The first two plaques were erected in 1867. The first commemorated the poet Lord Byron at his birthplace, 24 Holles Street off Cavendish Square, but was later destroyed with the demolition of the house. 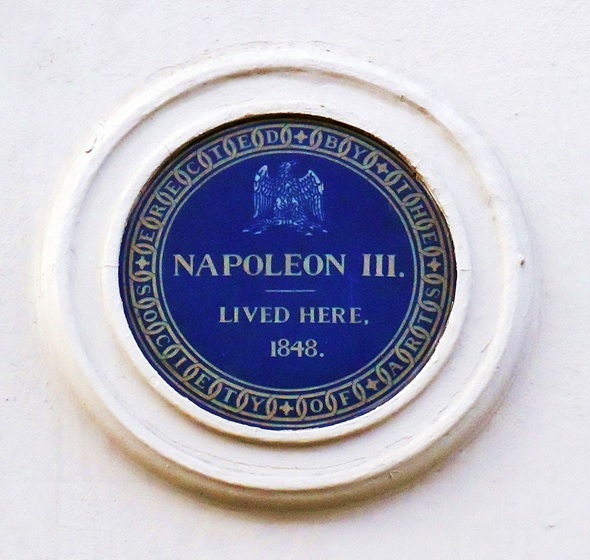 The second plaque in Kings Street, St James was erected to the exiled French emperor Napoleon III London residence. This has survived. William Ewart is in the select group who are commemorated with more than one plaque. English Heritage, the current custodians of the scheme, now restrict the scheme to a single plaque per person however many addresses that individual had. William Ewart is commemorated in central London but also his former house which is now Hampton Public Library in south west London (see picture above). 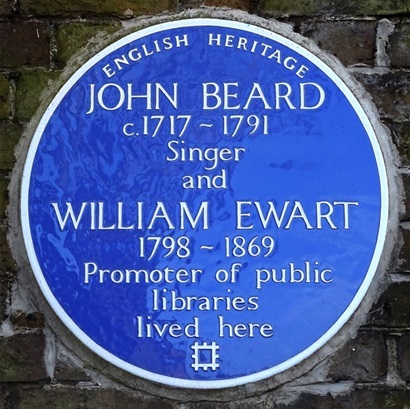 This is a particularly fitting commemoration as, whilst an MP, William Ewart introduced a bill that became Britain’s first Public Library Act setting up a network of free public libraries.. I think it is fair to say that for many years this scheme has favoured establishment figures and there has been a definite bias towards males. Currently only 13% of the total commemorate women. Recognising this, English Heritage is making concerted efforts to get proposals from the public for female candidates. 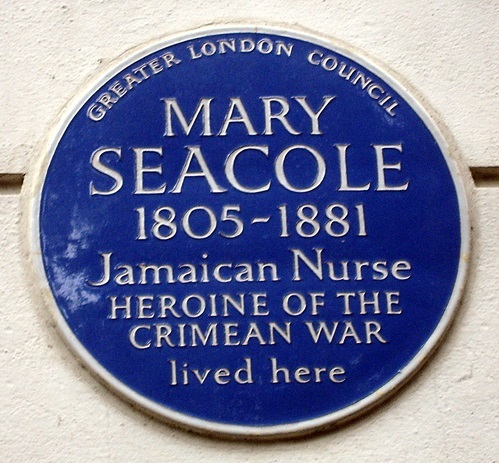 Westminster is home to plaques for several ‘non-establishment’ figures, including Crimean war nurse Mary Seacole and, unusually, one commemorating an event rather than a person: The Cato Street Conspiracy, which was a plot to assassinate the Prime Minister and Cabinet in 1820. 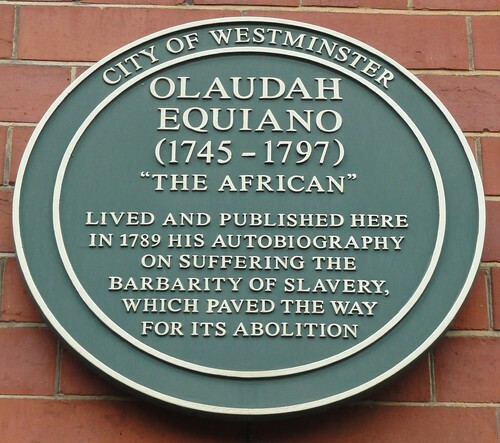 Biographical details for these and other blue plaque entries can be found on the English Heritage website. 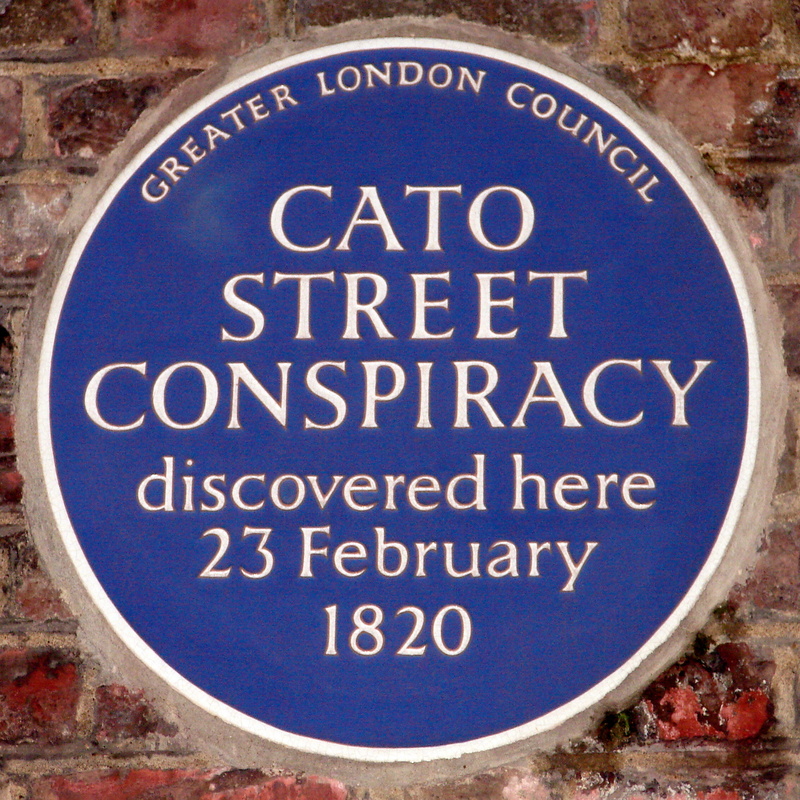 You can find out more in one of the many Blue Plaque guides available from your library. However, for a more comprehensive, detailed biography why not use your library membership to consult the Oxford Dictionary of National Biography online? Nearby, Kensington Central Library also holds a Biographies special collection of approximately 80,000 books, to which annually over 1,000 new titles are added.